Born in Ondo Town on August 1st, 1934 by Late Princess Alice Morinola Akinnola (Leyo Royal Ruling House) to the Late Chief Danial Ladapo Akinnola (Baba Ijo All Saints Church, Ogbonkowo, Ondo). 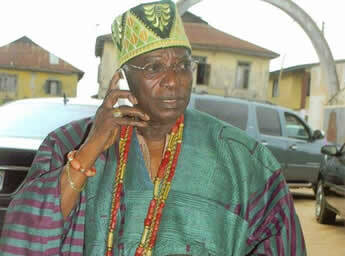 High Chief Bayo Akinnola attended Ibadan Grammar School where he later became the Vice-Principal. 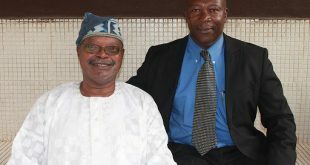 He was at Nigeria College of Arts, Science and Technology Ibadan for his ‘A’ level in 1955. He was at University of Ibadan and bagged a B.A. (Upper Division) in 1960. He was in University of Manchester England, for a Postgraduate Diploma in Education. 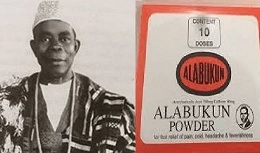 High Chief Lisa Bayo Akinnola served at the Nigerian Tobacco Company as PRO, Marketing Manager, and later Personal Assistant to the Chairman between 1964 and 1967. He was appointed Commissioner for Information and later that of Industries in the Western Nigerian Government between 1967 to 1976. Some of his other appointments include: Member of Council of the then Ondo State University, Ado-Ekiti; Chairman, Board of Directors of Oluwa Glass Company Plc; Ondo State Industrialization Committee; Board of Trustees, Ondo State Education Endowment Fund and Metal Packaging Group of Manufacturers Association of Nigeria. He was an elected member of the 1994 Constitutional Conference. On the business front, High Chief (Dr.) Akinnola is the Director and or Chairman of many business concerns both within and outside Nigeria. These include Atobi Enterprises Limited; Atobi Metal and Paper Industries Limited; Okegun Farming Enterprises; Cutler-Hammer (Nig.) Ltd; Gem Limited; Stanmark Cocoa Processing Company Limited and West African Portland Cement Company (WAPCO). 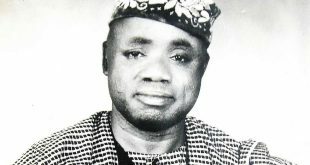 Some of the awards he won include Wither’s Prize for Professional Teaching of the University of Manchester; Roll of Honour of Ondo State; National Productivity Merit Award; Ondo Town and Community Merit Award; Distinguished Alumnus Merit U.I; Honourary Doctorate Degree in Management Teaching by the Federal University of Technology, Akure and National Award of Member of the Federal Republic (MFR). He was appointed a member of RMAFC in 1999. 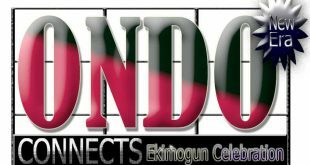 He was installed the Lisa of Ondo Kingdom in the year 2001, the second in command also known as Prime Minister of the Traditional Institution of Ondo Kingdom. ALPHA – 1934, OMEGA 2013.